If you’re the type of couple who likes to include a little links time while enjoying some romantic alone time, a stay at the Millcroft Inn, combined with golf at nearby Osprey Valley may be the ideal choice. 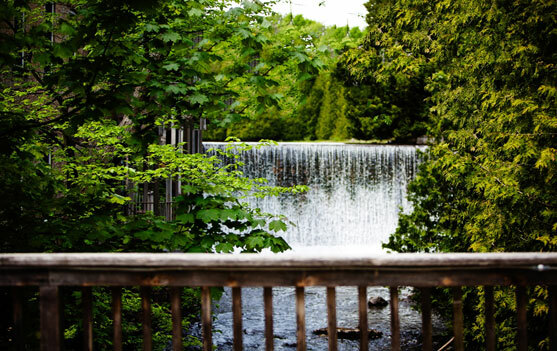 Located ten minutes south of Orangeville in the Village of Alton (drive and a flip wedge west of Hwy-10) the Millcroft Inn is situated in a stunning countryside setting alongside 100 acres of protected forest. The Inn offers 52 guest rooms, a four-diamond restaurant, full service spa and ample meeting space for those who need to squeeze a little business along with their pleasure. Osprey Valley Resort, a three golf course complex design by award winning Canadian golf architect Doug Carrick also calls Alton home and it is less than five minutes from the front door of the Inn to the first tee. 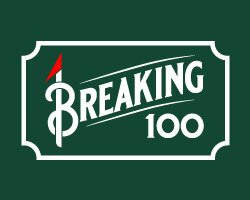 Each course serves up a unique playing experience with the Heathlands’ presenting a challenging links style routing, the Hoot stimulates the senses with a wasteland layout while the Toot’s parkland layout is as pretty as it gets. 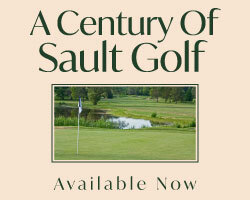 Packaged together the Millcroft Inn and Osprey Valley will satisfy your golf getaway needs. The Millcroft has quite a storied past. The power of Shaw’s Creek has been used to drive mills on the site as early as the 1840’s to create yarn and blankets. In 1881 Benjamin Ward built a four story stone mill with the stone coming from quarries in Inglewood and the mortar was processed at the Alton lime kilns. The Mill was later purchased by Ward’s son-in-law, John M. Dods in 1892. A dam break in 1889 damaged the mill and a fire left it in ruins in 1917 only to be rebuilt by Dods adding a water tower and sprinkler system. Dods became a civic leader in the community of Alton and after his death in 1923 his sons James and Andrew continued to operate the mill before leasing it to the Toronto Millstock Company of Waterford. Millstock ran production out of the mill until closing it in 1965. Today, the original stone mill is now the Millcroft Inn and the Dods warehouse was converted in to a state of the art meeting facility. His home is the current Manor House and is home to 10 rooms furnished in antiques and heritage colours of colonial days. The Main Mill houses another 22 guest rooms featuring a mix of Canadian and European themes with no two rooms alike. The Croft Units, contemporary two story chalets with walkouts and wood burning fireplaces, round out the Millcrofts’ accommodation options. 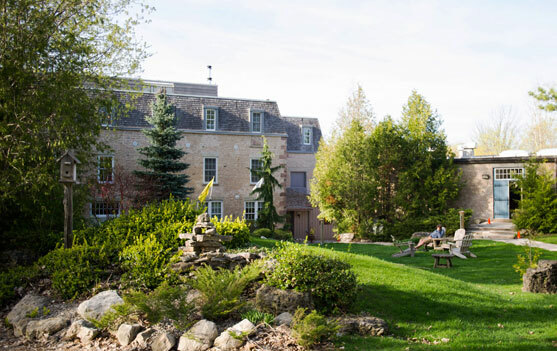 A stay at the Millcroft would not be complete without a visit to The Centre for Well-Being, which was added to the Inn in 2004. Boasting 17 treatments areas, steam rooms, hot tub, indoor pool, a fully equipped fitness studio and a peaceful lounge that overlooks scenic woodlands, the Centre offers a wonderfully serene environment. In addition to offering the traditional spa services, the Centre provides several treatments that are unique such as the “malt and barley scrub and soak” or the Swiss shower kur. Reiki, Thai massage and morning yoga sessions are also standard issue. For those wishing to extend their post spa bliss an après treatment visit to the Spa Café, where healthy cuisine is the only choice, is in order. In addition to the aforementioned Spa Café the Inn’s four-diamond Headwaters Restaurant presents gourmet dishes that are replete with locally grown fresh, organic and natural foods. For those who have a craving for lighter fair, a cold beer or glass of fine wine in a relaxed atmosphere then the Millcroft Lounge is the spot for you. 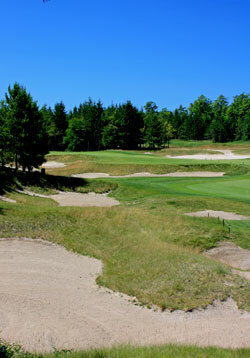 If you can tear yourself away from the serenity of the Inn, golf at Osprey Valley will not disappoint. All three courses are visually stunning but offer completely different golfing experiences. 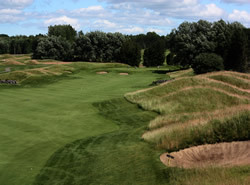 The Heathlands is a classic links-land style course routed through mounding adorned with fescue grasses. Perennially rated amongst the finest courses in the province, Heathlands offers four sets of tees ranging from 5248 to 6810 yards and is a true test for even the best of golfers. The locals tend to favour the Hoot with its five sets of tees from which to choose measuring in at 5140 to 7201 yards. The Hoot, a wasteland beauty is carved out of tall pine forests with large waste bunkers skirting the fairways on many holes. This visually stunning layout is a treat for players of all abilities to enjoy. One gets the feeling of being transported to the Pinehurst/Sandhills area of North Carolina. The Toot concludes the Osprey Valley triumvirate. With tee decks ranging from 5372 to 7106 yards, this parkland beauty features generous landing areas off the tee and puts a premium on precise shot making to avoid the well placed and numerous bunkering.